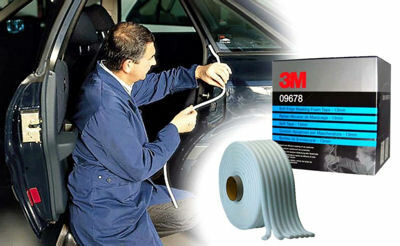 The fast, easy way to mask door jambs and other apertures such as car hood and deck lid openings. Unique adhesive allows material to be repositioned. Eliminates rework due to unwanted tape lines. Masking jamb areas and producing an invisible repair is a constant challenge. Whether using folded tape, foam or conventional masking tape and paper, special care is taken to achieve the desired results in the jambs. This extra effort takes valuable repair time. 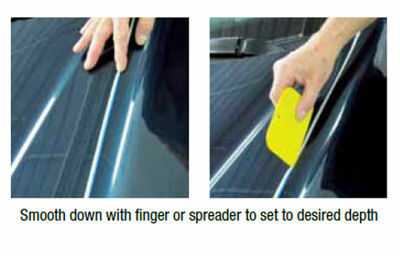 Soft Edge Foam Masking Tape makes jamb masking quick, easy and effective. A soft foam tape for used for jamb masking and other areas that need to be sealed during painting.